“First impressions last.” I believe that this old saying still holds very true in most cases. Have you ever experienced giving (or receiving) an awkward handshake? Are you, in some ways, intimidated by formal events? Do you act conscious in social gatherings? It doesn’t feel good, right? Well then, this is for YOU. For us. I, myself, is a sad victim of poor self-image. I have, I am, and I do. Are you serious, Rose?!! For goodness sake, stop acting like a shy teenager who just turned sweet 16! YOU ARE RAISING TWO KIDS ALREADY!!! Yeaaah, okaaaaay I get you! I heard it LOUD and CLEAR. I know I should have gotten over these feelings a long time ago. I should act mature and professional. I should start engaging in adult conversations and do some serious business talk. I should be more confident in myself. The answer is by projecting a GOOD IMAGE. Do you know how POWERFUL your image is? “Style is a way to say WHO YOU ARE, without having to speak.” – Rachael Zoe said it perfectly. 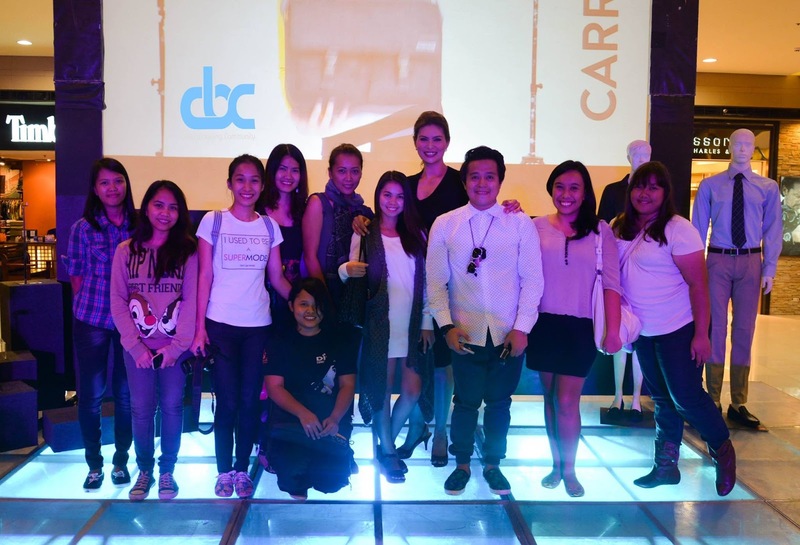 All of these I learned from the super gorgeous AND very entertaining former model and Binibining Pilipinas Universe – Ms. Abbygale Arenas – de Leon. 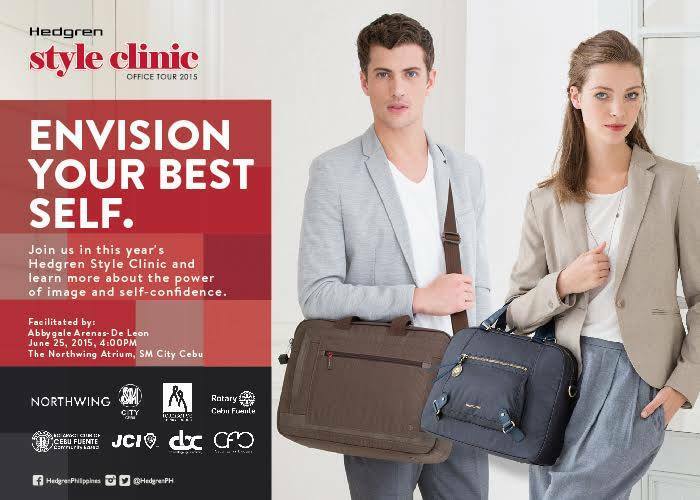 In partnership with Cebu Blogging Community and other big organizations, Hedgren Style Clinic aims to help people, especially young professionals, to envision their best self. Now, to help us easily remember how to enhance our image and self confidence, let’s put in mind the word POWER. POWER stands for Perfect Smile, Open Stance, Warm Body Language, Excellent Appearance, and Revamp Workplace Outfit of the Day. Tip #2 Open Stance -observe your posture. Make sure you are always in a good posture, whether standing up or sitting down. Avoid standing in one leg, make sure to always find your balance. Shoulders should also be aligned while your chin must not be looking down (projects shyness) nor looking way up (appears arrogant or proud). Tip #3 Warm Body Language – a proper handshake is either only 2 or 3 pumps. Be firm but painless and don’t be fast nor hold too long. When talking, observe eye contact and lean a bit forward for better connection. Tip #4 Excellent Appearance – Fix your hair as it is known to be the crowning glory of beauty. Have a fresh looking face. Ladies don’t have to wear heavy make up, but at least, be sure to look neat and presentable. A quick lipstick application doesn’t hurt, right? Or just go for some loose powder. Also, choose appropriate clothing and be careful with accessories. Of course, personal hygiene is a must. Tip #5 Revamp Workplace OOTD – mix and match outfits. NO one will ever go wrong with black, so at least have one black dress, black blazer, black bag. Then enhance your look with pretty accessories. A nice pair of earrings or just a decent wrist watch will do. So there you go! I hope you enjoyed these 5 quick tips to enhance the power of image and self confidence in YOU. Let’s all remember to use it every time, shall we? As a bonus recommendation, to look your best even more, it’s always good to have a pair of excellent-quality bags that will immediately add a style and enhance the power of your image. Just like the Hedgren Bag Collection – a mix of chic, elegant, professional. and traveler bags. Let’s watch the audience-turned-models who shine on the runway. Over to you:Tell me what’s your favorite POWER TIP? If you have anything to add, please do share in the comments below! It's good how brands and people reach out to their audience by providing worthwhile events such as this one. I strongly agree to your tip#1, also a smiling face attracts positive vibes. 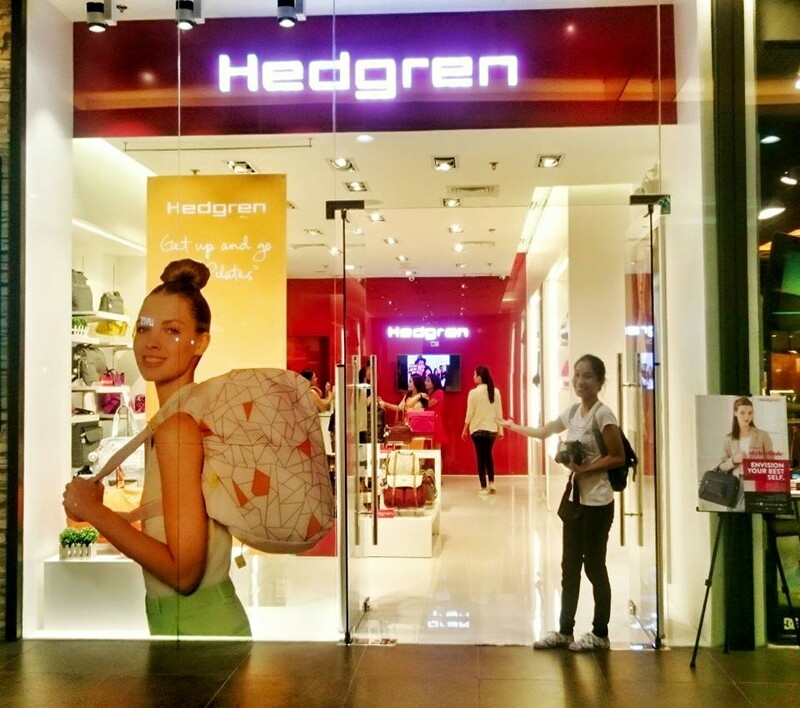 BTW, first time ive heard of Hedgren, do they also have branch in Manila? I use a Hedgren bag for travelling and it's really really durable. Love the Rachel Zoe quote that you used here! Really gives us a different and deeper perspective of style. It's important to invest in your image because fist impressions really last. Now that's the thing, I rarely smile. But when I do, wagas wagas pud 🙂 You look so young btaw te, I never thought you have two kids already. Maypa ni attend ko ani. 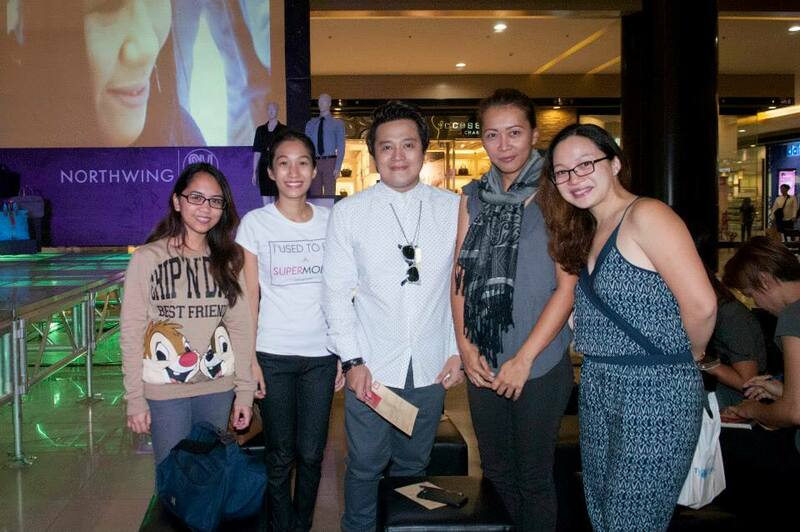 I love how this event gathered people and helped go into a deeper view on style. I must say these are very practical and doable tips in enhancing our image. I should try to keep these tips in mind. Wow, this is a great post! Learned something new today about self-image. Wish I could attend fun events like this, too! Thanks for sharing. I'd love to see Abbygale Arenas-De Leon in person 🙂 I've seen her on TV as she shared tips on how to project your self-image and I was in awe of how well she inspires people to be better versions of themselves. Wow, i enjoyed reading this post! I love Camille's dress and bag. Also, this event is so helpful for everyone!